The passing of Stan Lee yesterday morning inspired tributes to his brilliance as the editor and writer behind Marvel Comics. And with good reason. Lee revolutionized the comics business in the ‘60s by creating superheroes who lived in a real world of personal challenges, social strife and petty annoyances. The Fantastic Four, incredible Hulk, Avengers and X-Men were dynamic characters in tales that were part soap opera, part Saturday movie serial. For those who pursued careers in journalism, the Amazing Spider-Man held a special appeal. At a less cynical time, it made perfect sense that the heroic Spider-Man would be a brave and idealistic newspaper photographer named Peter Parker in his “real life.” The admonition to Parker that “With great power comes great responsibility” could have been a watchword for newsrooms everywhere —and in any principled profession. But Lee’s contributions went beyond creating a new generation of superheroes, and in 1971, he struck an important blow against censorship. Lee went to work in the comics industry in 1939, virtually at the start. He saw the fledgling art form flourish, finding favor among American boys and World War II GIs. In the post-war years, comics publishers reflected the older audience, pushing the envelope with images of scantily-clad women, brutal gangsters and grotesque zombies. There was bound to be pushback and a child psychologist named Frederic Wertham led the charge in articles and his pivotal book, “Seduction of the Innocent.” The comics industry deserved some criticism, but Wertham went over the top, suggesting that Batman and Robin had homosexual qualities and that comics were igniting a youth crime wave. This overly broad set of restrictions limited what could be published for decades, but Lee faced a dilemma in 1971 when he wanted to publish a three-issue series in “The Amazing Spider-Man” depicting a character with a serious drug problem. It was intended to dissuade young people from using drugs, but the Comics Code was inflexible. Marvel Comics quickly promised not to do it again and the code administrators blinked rather than impose a penalty that could have endangered the company’s distribution. Lee’s stand encouraged modernization of the code and reminded many that a simplistic blanket ban on content was not as valuable or effective as thoughtful content creation. As the editor of the most successful comic book company in the world, Lee had great power, and in this instance, showed us great responsibility. Ken Paulson is president of the Freedom Forum Institute’s First Amendment Center and dean of the College of Media and Entertainment at Middle Tennessee State University. 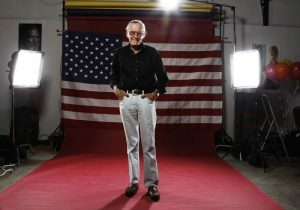 This entry was posted in News and tagged censorship, Marvel Comics, Stan Lee by Ken Paulson. Bookmark the permalink.